I’ve been really into peach and pink blushes recently, they’re all I reach for and all I seem to want when it comes to doing my makeup. Plus, they seem very Spring appropriate as no doubt the shops will have hoards of them out soon! Starting with the peaches, Tarte Amazonian Clay Blush in shade Blissful which is a warm coral tone. I quite like the finish on these blushes, as they look very natural, plus they last a decent time too! Next is NARS Blush in Luster, which is one I definitely need to use more. It’s a very light peach shade with a little bit of gold running through it, though I find it doesn’t look shiny on the skin. 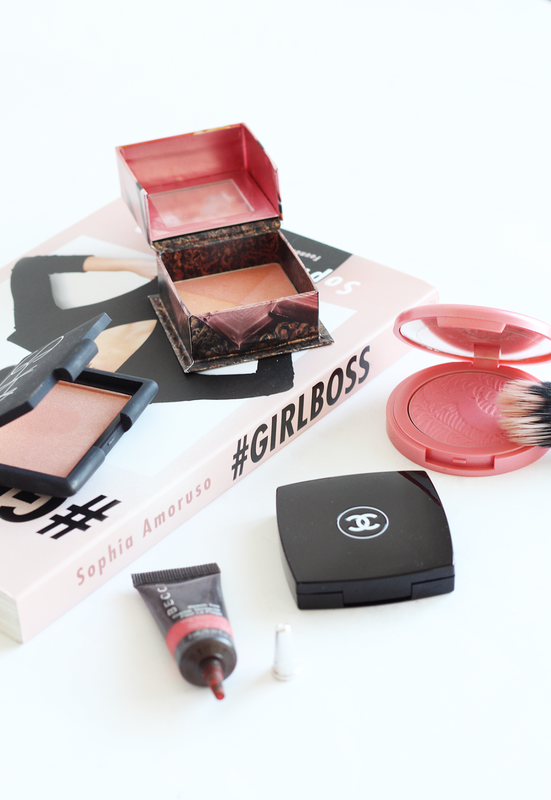 It’s definitely a low maintenance blush when you want a bit of colour, but not to much. On the brighter side of things is Le Blush Creme de Chanel in shade 62 Presage, which is a cream blush with a serious pop. It’s a bright orange/coral tone, but can be applied as heavily or lightly as possible. I think it blends like a dream too, so is worth picking up! Reppin’ for the peachy pink side of things is Benefit Box Blush in Sugarbomb. This has a combination of four shades; pink, light pink/peach, peach/orange and a lilac shade which swirl together to create a really pretty natural flush. Finally, for the more orange side of things is the Becca Beach Tint in Strawberry. Now, you may say it’s red and I would agree, but it does lean more orange-red, sort of like MAC Lady Danger in blush form. They have a shade called Papaya too, which is a pretty orange shade similar to the Chanel one. 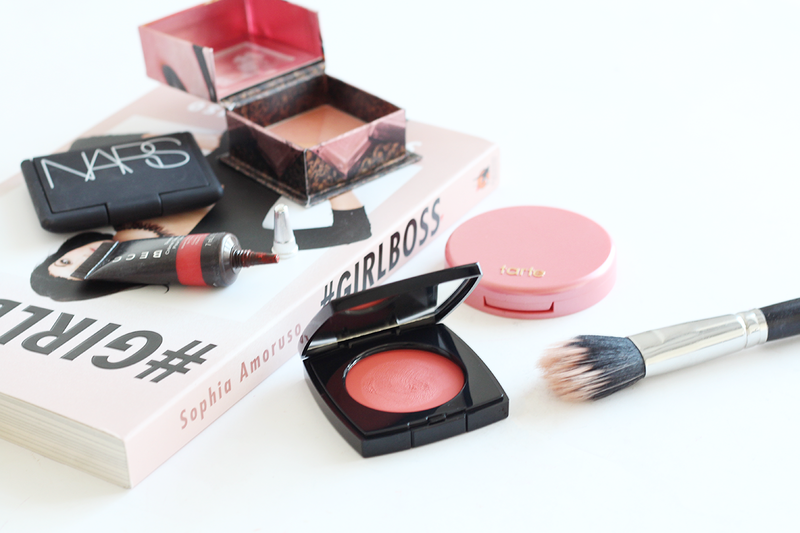 What blushes are you loving recently? Do you like peach shades?